The horses have arrived, the draw has been made and everything is set for history to be made on Sunday afternoon as Tosen Archer, Big Gulliver and Final Score become the first foreign-trained horses to run in Korea. They are accompanied by three Japanese jockeys; Daisuke Mashima, Takehiro Kashiwagi and the veteran 57-year-old Fumio Matoba. Delegations from the Singapore Turf Club and the Dubai Racing Club are also in Seoul for the event. Ultimately it comes down to a horse race though and it is an intriguing one. The Japanese trio have impressed all who have seen them in morning workouts since they arrived in Seoul just over a week ago. However, the confirmation that Tough Win, considered to be the best horse in training in Korea, will run has given a huge boost to local hopes of a Korean win in the event. A nice looking filly who looks set to improve more in future. She has, however, been beaten by a number of her rivals here this year. Flopped last time out over this distance in his class 1 debut. Hopefully that was a one-off as he had been showing a lot of promise up to that point. He has the champion jockey on board but it would still be a surprise if he was troubling the places. Looks like there is little to choose between him and Bug Gulliver as the best of the Japanese visitors, the 9-year-old has been very impressive in trackwork this week and his seemingly unimpressive 5 wins from 47 starts may not mean much. Well beaten when finishing 2nd to Tough Win last time out, even though this is a much shorter distance, that will probably happen again. Having said that, he won’t be far off the pace. The only Aussie-bred in the race has come close but has never won since reaching class 1. He should enjoy dropping down in distance and could be an outside bet for a place. Not in the best of form and while he is another who should enjoy a rare opportunity at running in a one-turn race, it would be a surprise to see him challenge here. Very nice looking colt, especially over sprint distances. He won’t be favourite but he will have his supporters who believe he can pull off an upset. Worth watching the tote board for some value, be it to win or to show. A solid campaigner but is unlikely to have the turn of foot necessary to compete here. Unlikely to be in contention at the business end of the race. At one time seen as future star, he has really struggled recently and was well beaten by Watts Village over the distance last time out. The JRA Trophy winner is in really good form and looks a really good prospect. He prefers longer distances but if there is an upset, he could be the one to pull it off. It’s unlikely but if it’s value you are looking for, he could well provide it. Another who has really impressed in his trackwork this week, he won his last start last month over this distance and could well start favourite. The home team’s big hope. He has won at every distance from 1000M to 2000M and given the home bias of punters, he will probably be favourite. If he runs to his best, it will take an exceptional performance from one of the visitors to beat him. Her jockey is in incredible form right now and although the filly hasn’t won since landing the Segye Ilbo Cup in February, she will love this distance and is not without a chance of good finish. The least impressive of the Visitors since arriving in Koreaand also on recent form. However, that is not to say he will be too far out of touch. It would be a surprise if he was to win though. 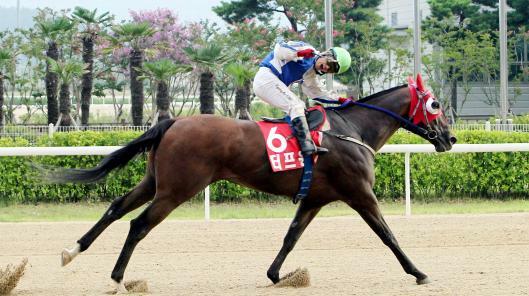 Smarty Moonhak (Smarty Jones) has re-qualified for racing following 14 months on the sidelines. The 4-year-old became the youngest ever horse to run in the Grand Prix Stakes when finishing 3rd behind Tough Win in 2011 before succombing to tendinitis, which was discovered after a disappointing run in the Busan Metropolitan Stakes last June. He subsequently underwent stem-cell treatment. Smarty Moonhak comfortably won the very pedestrian 5-furlong trial at Seoul Race Park this morning under champion jockey Moon Se Young. Tough Win will give Korea a fighting chance of recording a home win when three Japanese horses come to town for the SBS Korea-Japan Goodwill Cup, the first of a two-race home and away series, at Seoul Race Park on Sunday. The Japanese visitors; Tosen Archer, Final Score and Big Gulliver arrived in Seoul last week and have looked very impressive in morning trackwork, leading some on the backstretch to fear they may claim what would be an embarrassing 1,2,3 over the Koreans on their home soil. They will be the favourites, but in Tough Win, a Grand Prix Stakes and Busan Metropolitan winner and former Horse Of The Year, who has won 22 of his 29 starts, Korea fields a horse who knows how to get the job done. He is joined by a few talented sprinters including some who have excelled at sprint distances, but it is Tough Win that the locals are most relieved to see lining up. 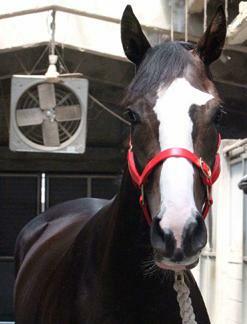 The race is the first time that foreign-trained horses have come to Korea to run. They are joined by visiting Japanese jockeys Fumio Matoba, Takehiro Kashiwagi and Daisuke Mashima. 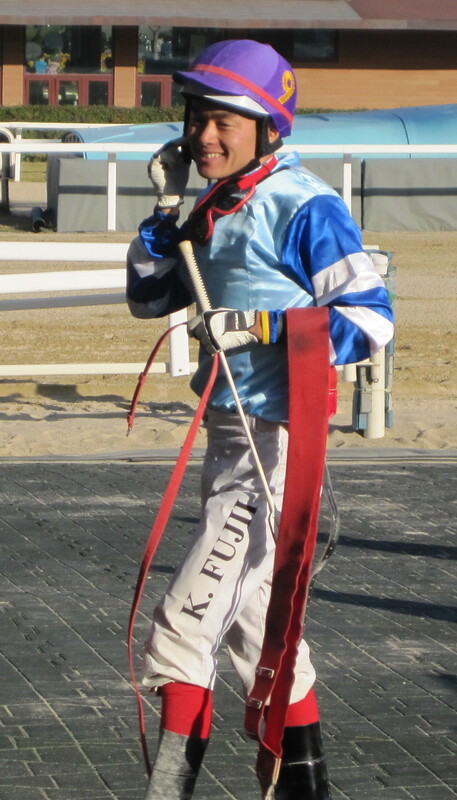 Seoul’s resident Japanese rider Ikuyasu Kurakane rides for the home team on Segye Ilbo Cup winner Indian Blue. (3yo’s will carry 55Kg and 4yo’s 57Kg. Fillies & Mares receive a 2Kg allowance). The three Japanese horses who will make history as the first foreign-trained runners in Korea when they participate in the SBS Korea-Japan Goodwill Cup this coming Sunday, have arrived at Seoul Racecourse. 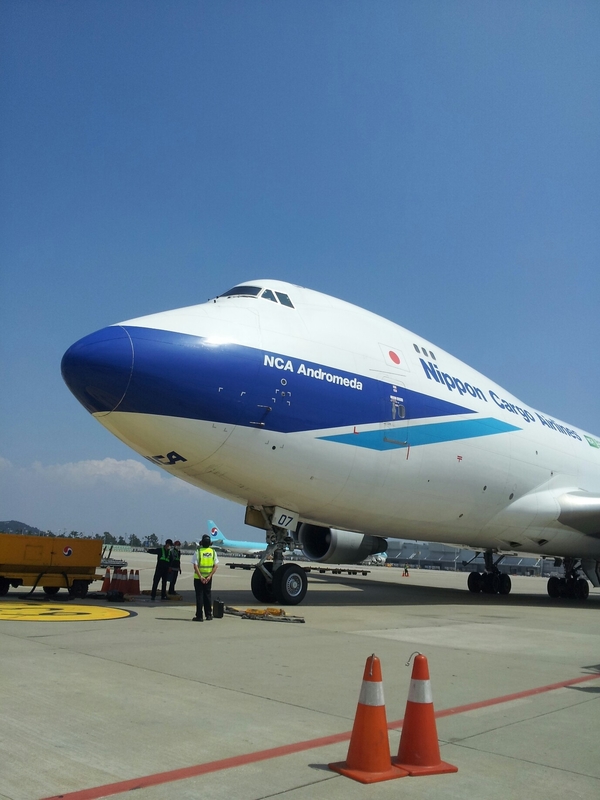 Tosen Archer, Final Score and Big Gulliver touched down in Korea on August 22 and were taken straight to a specially prepared quarantine zone at Seoul Racecourse. Due to strict quarantine laws for any animals coming into Korea, they must be kept separate from the general horse population at the track until the day of the race and they are completing workouts in the very early mornings, before the track opens for normal training. The word from those workouts is ominous for Korean racing fans: the 3 visitors look stronger and faster than our own. The race will be run over 7 furlongs (1400 metres) and will be screened by Sports cable TV channel SBS ESPN. See our first preview here or go to our facebook page for more pictures. Lee Chan Ho shot to the top of his graduating class with a remarkable display of riding at Seoul Race Park this past weekend. The 21-year-old apprentice, who debuted in June rode 4 winners on Saturday and added another on Sunday for a total of 5 wins from 11 rides. He also managed 2 third-place finishes on Sunday. Lee’s exploits take him to 10 winners from 79 rides in his short career so far and see him lose one of the 4-kilos of weight allowance that brand new apprentices are able to claim. Still claiming the full amount are the three others who qualified with Lee. However, Kim Tea Hun, Song Jae Chul and Jo Han Beol are all also off the mark and it looks like we are seeing another good crop of young jockeys as the Seoul Jockey Academy continues to excel. Another, altogether more experienced jockey, is also in a rich vein of form. Japan’s Ikuyasu Kurakane returned to Korea for a second spell earlier this year and a Sunday afternoon treble sees the 37-year old rise to 6th in the Jockey Championship with 37 winners. Speedy First added a second Classic to her increasingly impressive record with a convincing win in the Korean Oaks at Busan Race Park this afternoon. The Korean Derby winner was sent off as the heavy favourite for the fillies’ Classic and was close to the front from the outset. Joe Fujii made his move as the field turned for home and while Speedy First needed a little help finding top gear in the home straight, once she got into her stride, the result was never in doubt. Miracle Wonder, who made the early-running held on for second while 120/1 outsider Lady Medal snatched third from the tiring Cheonnyeon Dongan who was, in fourth, the best placed finisher from Seoul. Before today, Speedy First’s only racetrack appearance since winning the Derby had ended after just a few seconds when Fujii was unseated before the first turn of the Gyeongnam DoMin Ilbo Cup. The filly then treated herself to a solo run around the track. She returned none the worse for wear but was kept off the track until today. For trainer Kim Young Kwan, it is yet another top class winner. With Speedy First, he has managed the Derby/Oaks double that eluded his other great filly, Sangseung Ilro, who captured the Derby but lost the Oaks by a neck. 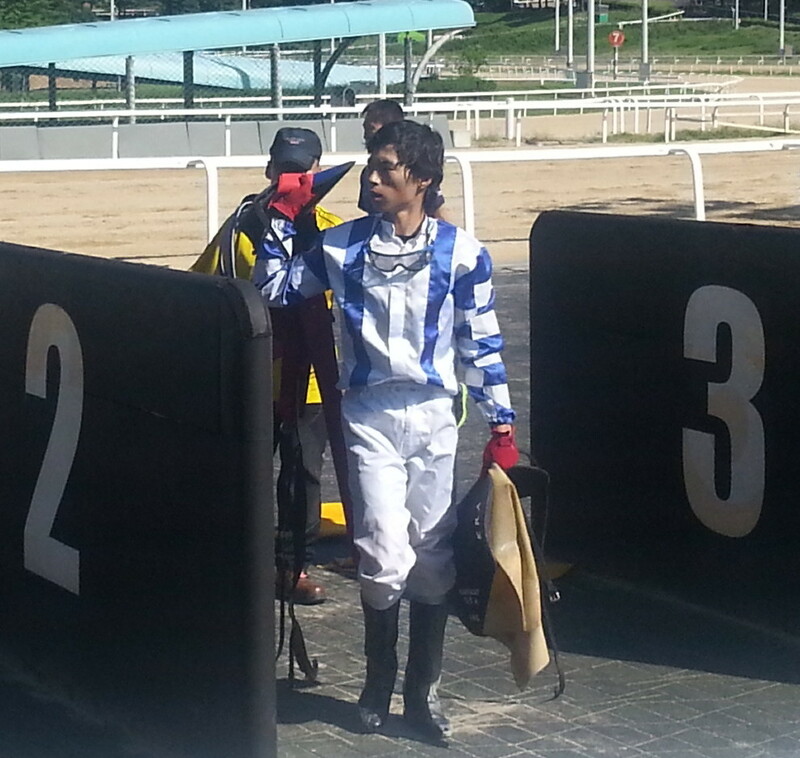 Jockey Joe Fujii continues his remarkable time in Korea. He has now won the Gyeongnam Governor’s Cup, the Grand Prix Stakes, the Korean Derby and the Korean Oaks. The 29 year-old Japan native with a broad Australian accent will surely go down as the most successful foreign jockey to ride in Korea to date. Although Japanese, he has never been licensed in his home country and is now in the process of applying to the JRA. Today wasn’t one of Fujii’s most difficult rides but anyone who has watched him over the past 15 months knows that he can compete with the best anywhere. Speedy First has now won 6 of her 8 starts and will be a serious contender when the top three-year olds reconvene at Seoul for the Minister’s Cup, the final leg of the Triple Crown. Next week the main action is at Seoul where history will be made as foreign-trained horses run in Korea for the very first time. The SBS ESPN Korea/Japan Goodwill Cup is next Sunday. It’s Korean Oaks weekend. 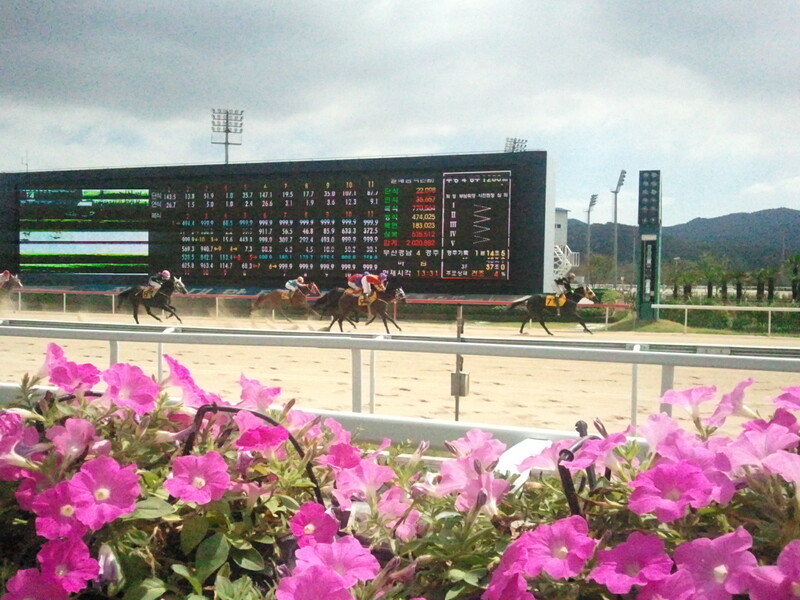 See here for a full preview of the big race which takes place at Busan this Sunday.